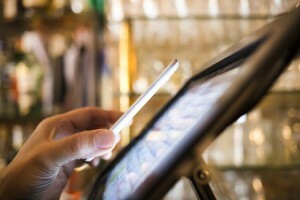 Technology-driven innovation is redefining the retail sector. All these disruptive ideas are bringing in greater customer experience and increased opportunities for the retail players irrespective of their size. We have witnessed various innovations in the in-store payment methods in the past few years, including digital wallets, contactless payments, QR code payments, reward points, net banking, chip cards and so on. However, most of these methods require internet connectivity and specific hardware which creates a lot of unnecessary dependencies. Here comes the relevance of the new sound waves based payment technology which is the new game changer in current retail payment scenario. Sound waves based payment method holds a lot of relevance at this point in time, especially in India with demonetization creating larger ripples in the society and making people switch to the digital payment methods. Sound wave based payment technology widens the scope of the digital payment methods by simplifying the financial transactions possible between devices, without the usage of internet connectivity or communication tools such as NFC. In the case of payments through NFC, the drawback is that it requires the installation of expensive hardware and in the case of small scale retailers it is not an economically viable option. In addition to this, very few people have access to NFC enabled mobile phones, which limits the reach and benefits of digital payments to a certain cream of the society. The issues with payment using QR codes has also certain limitations including difficulties to capture the image clearly and sometimes the user has to try it multiple times to complete the transaction. The main advantage of sound waves based payment technology is that the software development kit can easily integrate with POS terminals, EDC machines, mobile wallets, banking apps without the need for any additional hardware. The customer doesn’t even get connected to the internet for making the transaction. It can also be enabled on feature phones making it accessible for more people and bring financial inclusion especially in emerging countries where high end smart phones are still not accessible for each and every individual. How Sound wave based payment technology works? The Security of payments is an important aspect and with multiple levels of encryption, tokenization and disruptive technologies like the Blockchain coming in this arena, the entire payment ecosystem is bound to get more secure and foolproof. The sound waves technology which is currently grabbing the attention in the retail payment processing can also be utilized in taking targeted marketing to the next level. Targeting consumers by tracking their online and instore behavior is already in place, leading to more personalized promotions, offers and the right messaging to reach the audience at the right time and location. The accuracy and efficacy of this personalized target marketing can be taken to the next level by analyzing what consumers see and hear on various transmission mediums including TV, YouTube channels, PA speakers, public speakers etc. Apps which can hear what channels the consumers are interested to watch and spend more time can help retailers better target their customers in addition to tracking their behavior online. A customer spending time watching sports channels can be targeted with sports merchandise and accessories at a discount. This personalization can drill down to sports athletes and their gear while playing. However, the main concern that needs to be sensibly addressed is about respecting the privacy of the customers. The targeted marketing using sound waves should be implemented based on the customers’ consent on whether they want to receive such offers or promotions rather than bombarding them all the time with unnecessary adverts. Though sound wave based targeted marketing is in its stage of infancy, many retail players have started taking deep dive into the implementation of sound based payment methods in their business. In-store payments are getting smarter and we strongly believe that it will aid in taking the retail consumers’ in-store experience to the next level. I am currently a part of the BA presales team in Happiest Minds and have a total work experience of 3 years . I am an MBA & B.Tech graduate with prior work experience in application support & development for an e-commerce platform working on modules like content management, order management and customer service.